We are excited to bring you a fun, interactive wellness program, focused on creating a culture that is dedicated to improving overall health and developing positive lives. Our program is designed to assist you and your team to reach new wellness goals, create a fun environment, and execute your company values and culture. This program is full of learning opportunities, team building, competitions, and rewards. 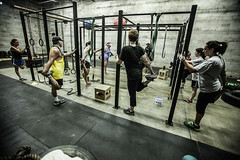 It is geared for all ages and fitness levels. Whether your company’s associates are just starting their career or nearing retirement, a weekend warrior or couch potato, this program has something for them. Great health positively affects business operations, individual employees and their families. Further benefits of a company providing health solutions range from increased productivity, engagement, positive morale and decreased health care costs. Healthier people create healthier businesses. Through individual and competitive activities, we will increase camaraderie and bridge gaps between diverse groups. We will create a fun work environment, which will reduce stress and increase productivity. What’s different about our wellness programs? Provide accountability by monitoring preventative doctor visits and screenings. Influence holistic healthy behaviors. Individual 30 minute sessions with our Wellness Coaches are available. On sight sessions will empower employees with Focus, insight, and accountability to obtain their wellness goals. We will advise on current fitness and nutrition trends. Through assessments, we will discover your associates’ skill levels. They will become more proficient in their knowledge of movement and proper nutrition, thereby enhancing their quality of life. There are physical, written, and verbal tests that must be passed before moving to the next level. Success is dynamic. Participants compete only with themselves; striving to break previous individual records. These days are all about fitness and fun. There will be various individual and team competitions. Some examples are kickball, tic tac toe relays, three legged race, 50-yard dashes and more. We provide a health and wellness educational session that presents a variety of useful, everyday health and wellness topics. We invite associates to informal discussions addressing current fitness/nutritional topics, address questions and crowd source best practices. Challenges are designed to encourage individual and group competition. Our challenges create self-awareness, cultivate camaraderie, foster team spirit, and provide educational opportunities. 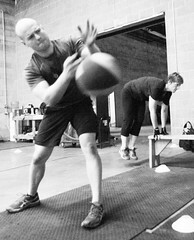 Onsite PT Fitness group workouts, personal trainers & yoga are available. Electronic upcoming events, fitness tips, cool recipes, fun activities, leaderboard and more. We assist companies create incentive programs that motivate and inspire active lifestyles. We will source and update local events and activities. Our wellness programs can be managed through our website and app.